Can you believe it’s already June? Yesterday I was still decorating the Christmas tree and today it’s June! Time does fly! May’s been pretty weird readingwise. I didn’t get a lot of reading done because a) I had a lot of things going on this month like weddings, family stuff and dance rehearsals and b) I had a major book hangover which caused me to spend almost 3 weeks re-reading the same book over and over again (A Court of Mist and Fury by Sarah J. Maas – favorite book so far this year). This month has pretty much been 3 things on repeat. The ACOMAF playlist Sarah J. Maas created on Spotify, All Time Low and Against The Current. This show is epic. That finale was epic. Clarke and Bellamy and Lexa and Octavia and EVERYBODY IN THIS CAST IS EPIC! Talk about epic. The only show that can have me on the edge of my seat, wooping with joy and sobbing like a baby in just one episode. Also, the ending of episode 2 this season? YES! AND I KNEW IT! I hope to have some more time in June so I can catch up on my other favorite shows like The Flash, Arrow, Once Upon a Time, Agents of SHIELD and more. If you want to find out more, you can watch the announcement video or go to Sam’s blog post to sign up for the challenge and the giveaway. I’ve been wanting to start Outlander for so long but I’ve been so intimidated by it. Plus I also kind of want to start watching the tv show, but I refuse to do so before I at least read this book. And I read the first book in the Mistborn trilogy last December and REALLY LOVED it, but I’ve been putting of book 2 and 3 for some reason. I have to admit, they are still big and scary books and honestly, the font is rather small so reading book one hurt my eyes and gave me headaches and that kind of scared me #crybaby. No more excuses though, June is the month! I realise this is a pretty ambitious TBR, but I figure that I can at least read one of these and then I’ll be happy. If I manage to read two I will be extremely proud of myself. 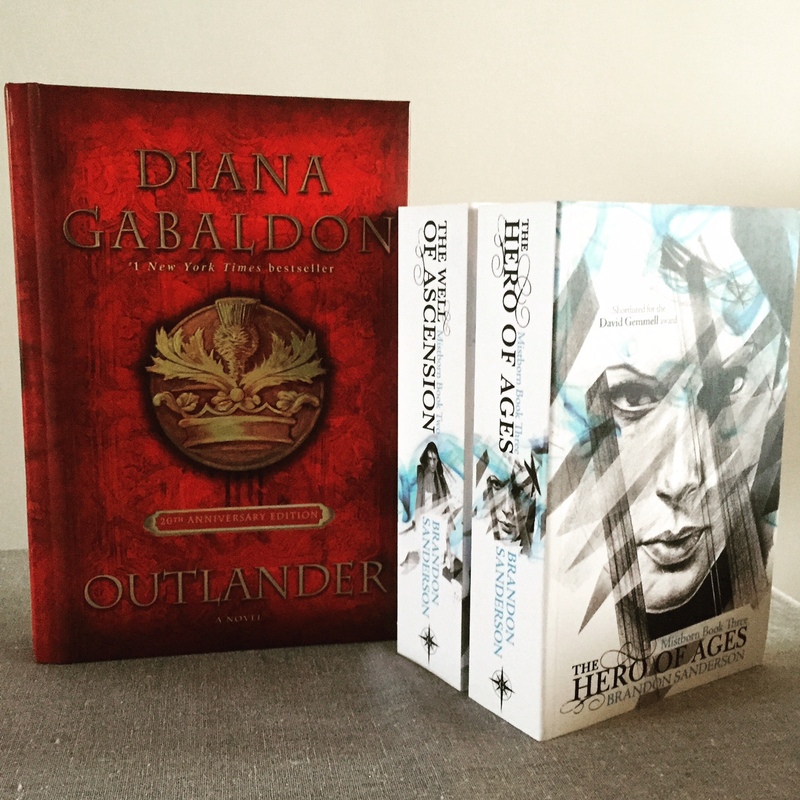 And if I do manage to read all three I will crown myself book queen of the world! 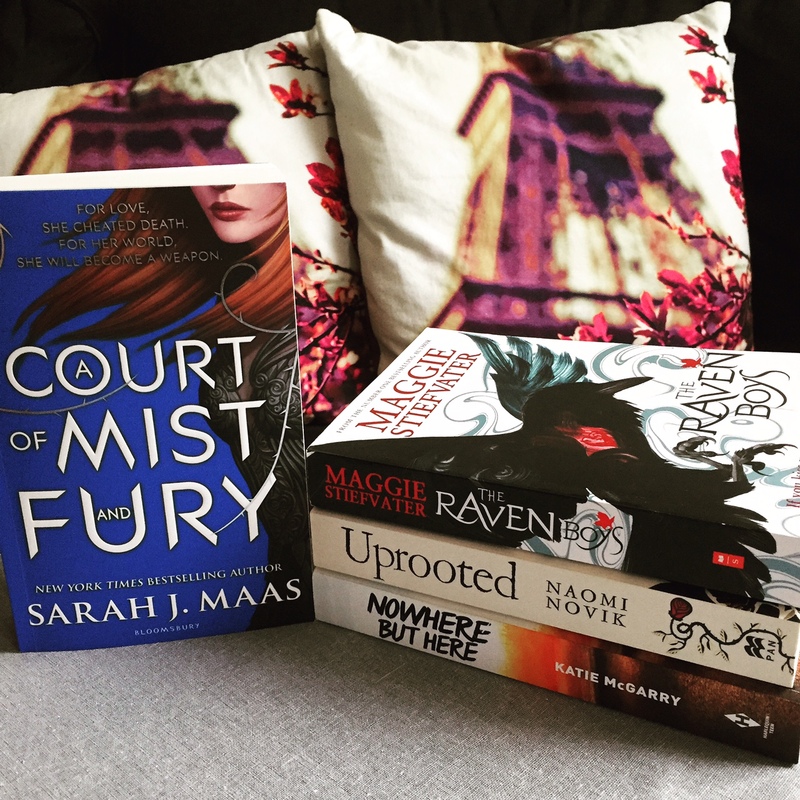 I hope I enjoy ACOMAF when I read it ? All Time Low ?? Good luck with the readathon!! Outlander absolutely terrifies me haha. Thanks! I hope you’ll enjoy ACOMAF more than ACOTAR 🙂 YES, All Time Low! It’s weird because I knew them and their music already for a while, but it’s only this month that I became really, really obsessed 🙂 So far Outlander is going slower than I expected, but I’m also enjoying the story more than I thought I would so that’s good. Good luck with your readathon too!